A high energy thriller working both sides of the street. Streetwise by day and suave and sophisticated by night. This chart covers all the bases from the opening rock guitar riff to the sax soli quote of Miles Davis” solo on So What and back again. A great showcase for the entire band. 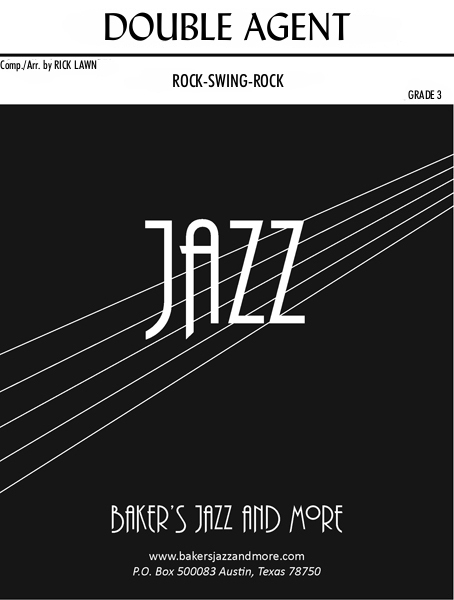 Solos for tenor sax (swing), drums (rock), and guitar (rock god status) as the chart drives to its anergetic conclusion.